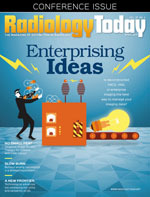 As radiology practices concede that the longstanding PACS model faces an uphill battle in keeping up with the times, vendor-neutral archives and enterprise imaging are figuring prominently in the discussion. Physicians face daunting odds when treating a young patient who is diagnosed with liver cancer. We are pleased to report that a new IR-centric, catheter-based option utilizing TARE-Y90 is delivering hope—and results. Trending steadily upward with the help of innovative enhancements, DR is helping radiologists achieve multiple goals: improved image quality, reduced dose, and, ultimately, a significantly enhanced patient experience. Radiologists are not immune to stress-related consequences on the job. We check in with experts on addressing the particular aspects of burnout associated with the profession.